Now to Paul Dano’s character, Eli Sunday… Even though Dano admits playing opposite Day-Lewis gave him no chance but to elevate his game, he is a fine actor in his own right. He has his way of staring people down, his own quirkiness and psychotic influence on the men who face him. As Plainview stands – in rough definitions – for oil, and Eli stands for religion, they both stand for power, for the striving for power and influence that is part of the American dream, and maybe not only of it, but of many a dream. The parallels to the current world are there for everyone to make and think upon. But the great thing about the story is it’s powerful to start with, and then – told in a very straightforward way. Day-Lewis enjoyed the level of freedom afforded to him and the rest of the cast by Paul Thomas Anderson… he speaks about being open to, allowing a state of chaos to occur, in which to search for the true performance. 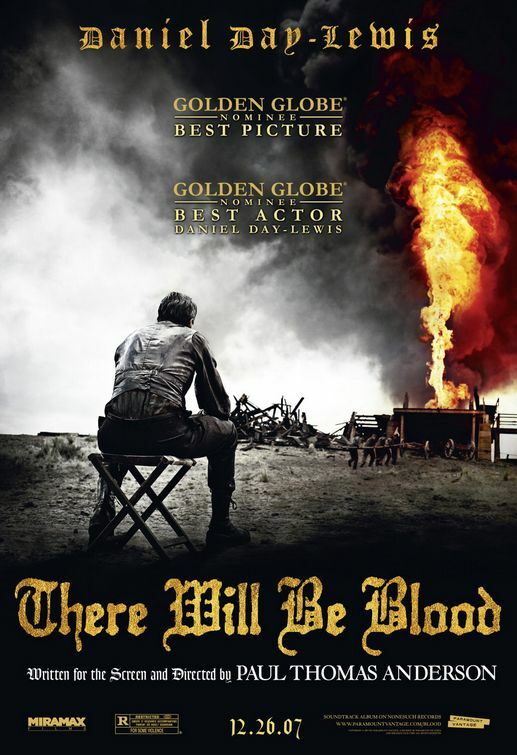 It is quite inspiring to realize such open, brave view of film making has wielded as a result a film like There Will Be Blood.